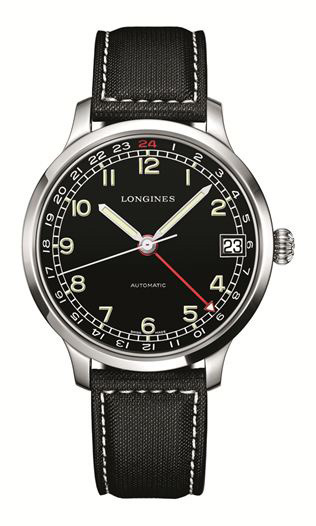 Inspired by 1930s military watches, the Longines Heritage Military 1938 is a new addition to the Longines Heritage line. It’s available in three guises, time-only, chronograph and dual time zone. Longines, along with Tudor, are the most successful and consistent in creating remakes of vintage timepieces. 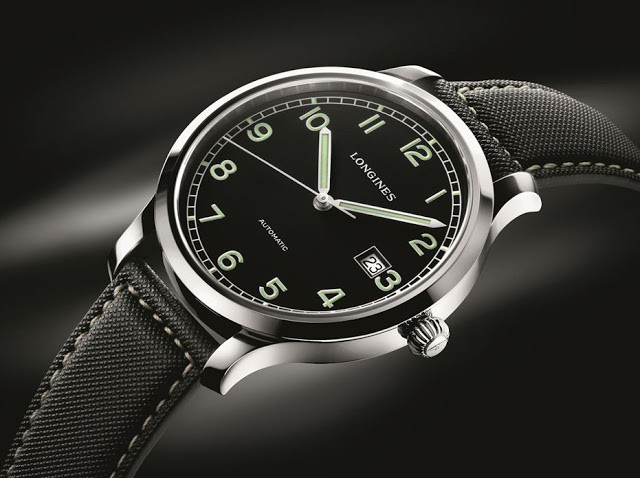 This year Longines adds to its already sizeable Heritage collection with the new Longines Heritage Military 1938, which comprises a trio of watches. The Heritage Miltary 1938 watches all have black dials with large, white Arabics, a small fluted crown and a prominent railway minute track. 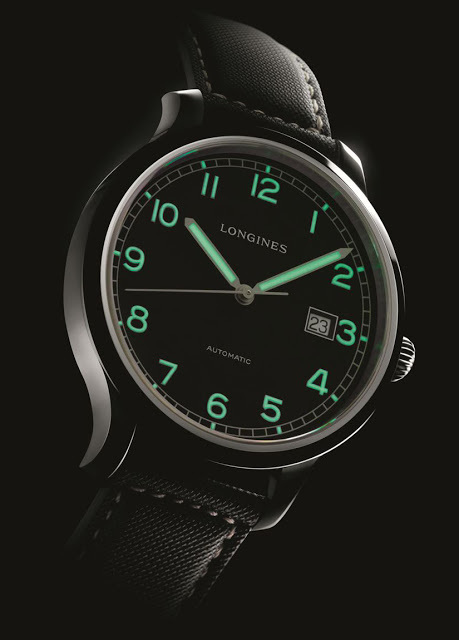 The three watches draw heavily on 1930s military watches like the WWW made for the British Army and of course the famous Longines “Greenlander”. The basic model (ref. L2.788.4.53.x) is a three-hand, time-only watch with an ETA 2892 movement. This retails for S$2400 including 7% tax in Singapore, which works out to about US$1950. 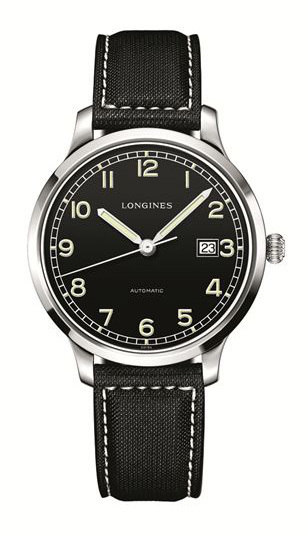 Then there is the Heritage Military 1938 24 hours (ref. L2.789.4.53.x), a dual time zone watch with a red GMT hand. This has a 42 mm case with an ETA A07 movement, from ETA’s line of large calibres derived from the Valjoux 7750. The retail is S$2960 with tax, or about US$2400. 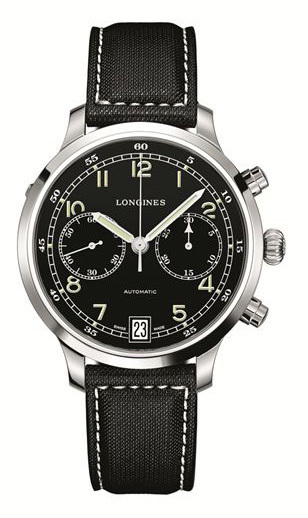 And the third watch is the Heritage Military 1938 Chronograph (ref. L2.790.4.53.x), which also uses an ETA A07 movement. The case diameter is also 42 mm. Retail is S$3750 including tax, or about US$3000. All three watches are water resistant to 30 m and have synthetic fabric straps. While I do like all of Longines historical remakes – they are nicely made and fairly priced – all of them have a date window (like the recent Avigation A-7 chronograph for instance) which looks blatantly out of place, though it is admittedly practical.